You can now format dates in Availability Search for WooCommerce Bookings. We understand that different cultures have different standards and need more than just translations. Therefore we’ve put in the work to allow you to use your country’s standard date format, or customize the format to suit your business. It’s super easy to setup. Just head into the Availability Search settings and look for the Date Format option. In there you’ll be able switch and move the days, months and year to display in your preferred format. We’ve prepared a list of examples for you to use in the table at the bottom of this post. Just copy and paste the format into the option box. Once you hit save, the date picker will display the dates in your selected format. Example date formats to use. Note: We have only tested the above formats, so we recommend writing the date format exactly as displayed above. 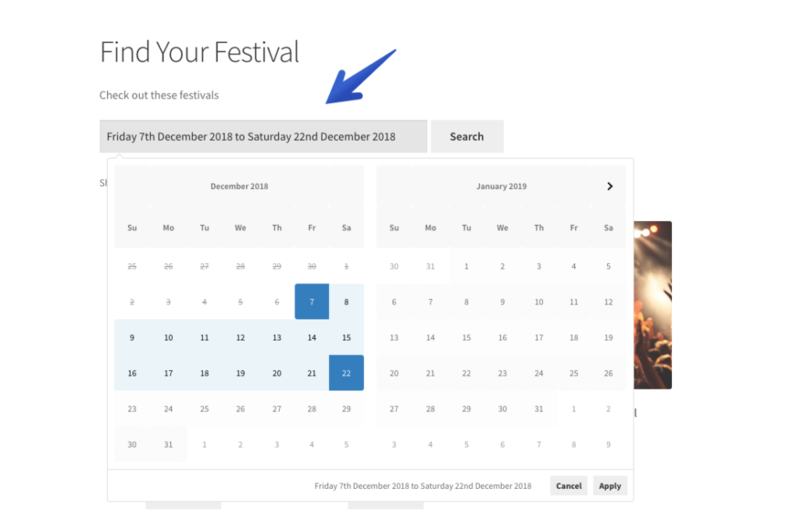 If you find that your selected format isn’t working, please remember to double check that it’s exactly the same as the suggested date formats here.